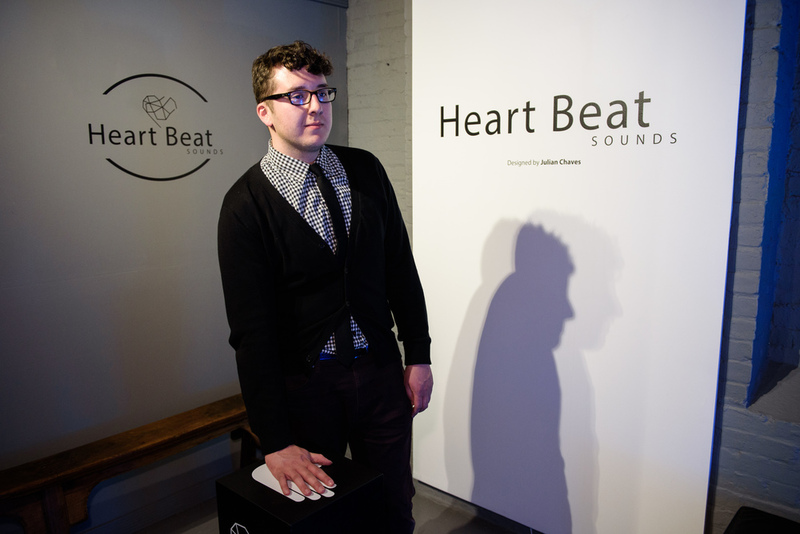 Heart Beat Sounds is a multisensory, generative pulse controlled installation. This multi-tiered installation explores the relationship between human and technology as well as our own self-awareness. Technology’s ability to evoke human emotion is something that is underexamined in our society. The way in which we interact with technology has evolved over the years. In this installation that relationship is explored as technology serves to be a tool to facilitate human self-awareness. 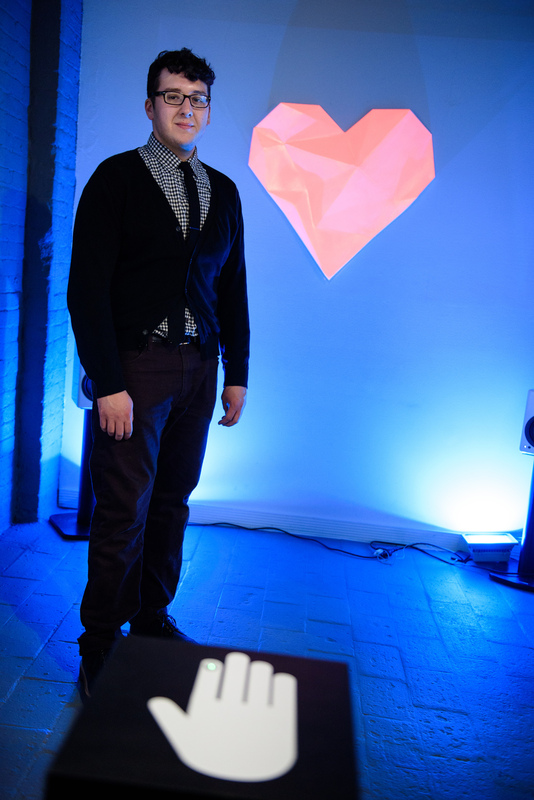 The installation consists of four parts; Pulse Sensor, Composition, Sculpture, and Projection Mapping. Each aspect of the installation focuses on a different facet of my education at Stevens. They all work together to help achieve my artistic vision. The Pulse Sensor represents human input into technology. 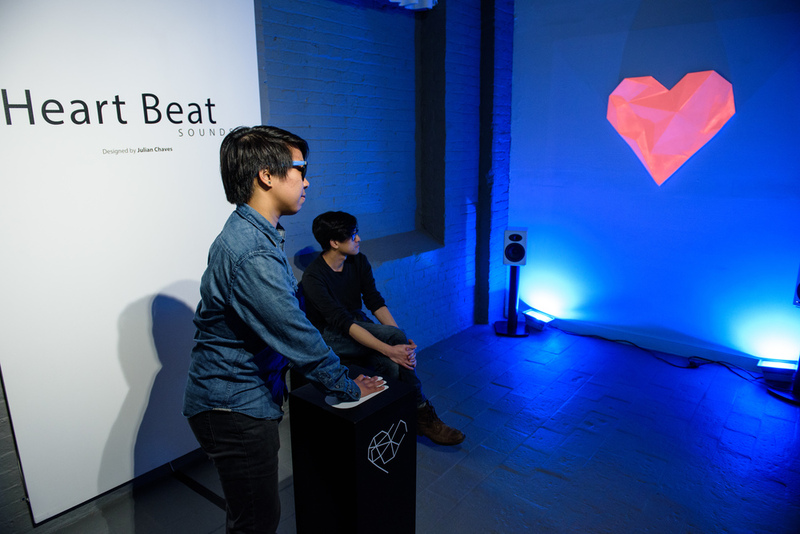 When placed onto the sensor, the creators heart “beat” becomes an instrument of musical expression. The pulse sensor serves as the facilitator of this representation. The viewer becomes the creator through the transference of biological processes into binary MIDI data. The viewer influences the music and visual response of the piece. Since every person is different, the user experience will be vastly different from user to user. The work of the composition is to shift the viewer into the role of the unassuming creator. The piece is not preconceived nor preconstructed giving each viewer an original experience void of mnemonic association. The viewer is allowed to then create their own, completely new, experience and become more attached with the piece. The creation of custom ambient synth sounds also aids in eliminating all mnemonic association by forming a sound the viewer has never experienced before. The multifaceted heart shape follows a complex geometric aesthetic. The white of the heart represents the purity within us all. The heart serves as a canvas both physically and conceptually. This physical “tabula rasa” represents the purity found within ourselves before outside influences are projected onto it. The physical projection is representative of human trials and tribulations that we accumulate over years of human interaction. The use of projection as the artistic medium allows for a more amorphous installation, which gives me greater freedom in my final installation. It also facilitates a much larger area of cover, which I need for the installation. Projection, psychologically, is the process in which one sees their own attributes, both positive and negative, in others. This theory will be explored much further in my work.